With Adwords bid prices going through the roof, and competition more fierce than ever, is it time to revisit the Google Content Network? Google’s Content Network distributes PPC text and graphic advertising publishers sites, in the form of Adsense. The content network differs from search PPC in that you aren’t bidding on search terms, at least not directly. You’re bidding to appear on certain sites that Google relates to groups of keyword terms. It’s the banner ad model, with a few clever tweaks to ensure relevance. Why should advertisers pay any attention to the content network in 2010? 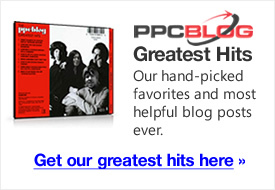 Isn’t it rife with click fraud and under-performance? Last year, Google released a study [PDF] showing the difference in performance between the two networks. However, the important metric in web advertising campaigns is ROI. If you achieve a good return, then some level of click fraud, garbage traffic and reduced control may not matter, especially when compared to the difference in click price on Google Search. If your ROI is positive, you win. ROI is one of the key metrics you need to pay close attention to on the content network. 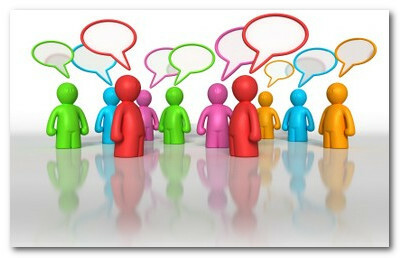 Besides having lower click prices, the content network also has extensive reach, appearing on millions of websites. The majority of web activity, by far, occurs at the content level. As for issues such as fraud and low performance, the content network has certainly matured from where it was a few of years ago. Google do appear to be ironing our issues, and with better reporting, conversion is easier to both measure and retain. Let’s take a look at how to approach advertising on the content network. The advertiser picks a visitor demographic by grouping Adwords themes, as opposed to appearing under a particular keyword term. When people see your ads, it’s not because they are hunting for something specific, as signaled by a keyword search, they tend to be engaged in reading or browsing. This fundamental quality requires that you use a different approach that you use in your PPC campaigns. So, the first step is to split your campaigns between the search network and the content network, so you have a basis for comparison. Whilst it can be more work setting it up, the split allows you to test different wording and approaches on both networks. Placement on third-party sites can be a little hit and miss. Google’s algorithms try to figure out where best to place your ad and do so by crunching numbers based around historical performance of ads similar to yours. It is reasonable to assume that Google rewards the ads that are clicked on the most. You can hand-select sites, which is also a legitimate approach. However, you might end up making worse guesses than Google, who at least have some content network data to crunch. With this in mind, one effective strategy is to cast a wide net, then refine your campaign once you have some data to work with. Let Google decide placement, no matter how weird and wonderful, monitor your data, then cut the losers and run with the winners. Download Google’s Adwords Editor, if you don’t have it already. You can also use your Google Adwords web-based account, but I find it easier to manage these campaigns with the desktop version. Setup conversion tracking. Google Analytics is free to use, and there are various third-party tools available. 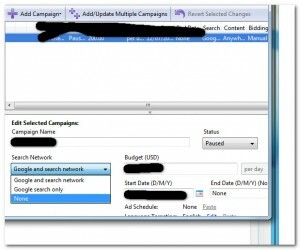 Open the Adwords Editor and import an existing Adwords campaign. Set your daily budget. A good rule of thumb at this point is to slash your bidding by 50%. You now have a basis for comparison of the content network vs your PPC campaign on the search network. It’s a good idea to separate the two different networks out, as you likely find your advertising needs tweaking in order to work well on the content network. We’ll look closer at this aspect shortly. Get rid of negative keywords, keyword bids and any other variable used to hone and optimize your Adwords PPC campaigns as these may affect your placement on the content network. You may end up having to replace some of the specific negative keywords with broader irrelevant keyword modifiers and themes. One important aspect of placement on the content network is keyword themes. More on this shortly. In this exploration phase, you want to cast a wide net as possible, as you may find good traffic in places you never considered, or knew existed. It matters little if that a site Google places you on doesn’t appear to be appropriate. That site may have the target demographic you’re looking for, and that target demographic may exist on a sub-page of that site that isn’t immediately obvious at first glance. Once you’ve had a chance to evaluate performance, you can then go through and optimize by removing sites. Some people do it the opposite way, of course. They have certain sites in mind, and only target those sites. Both methods are legitimate. The advantage is that you retain tight control from the outset. The disadvantage, as noted above, is that you may miss lucrative traffic streams from sites you don’t know about. Once you’ve got some data, you can run a third campaign on only the content sites that convert well. The bids for this campaign can be set higher. Like with any Google algorithm, there is a lot of conjecture about exactly how Google decides where to place your ads. Essentially, the same factors as Adwords apply, such as bid pricing and the relevance of ad text, with the addition of theme matching. Google matches the theme of your adgroup to the theme of the content page on which it appears. What this means in practice is that your should ensure your ad groups are tightly focused around a thematic idea. One way of doing this is to pay close attention to the terms Google associates with your keyword research in Google Keyword Tool and the ~ command i.e. place a ~ before your keyword search in Google to find associated terms. For example, “Ford Mustang, Mustang, Used Mustang, Classic Mustangs” is an example of a tightly focused thematic group. “Cars, Sports Cars, American Cars”, less so. Google may place you on sites related to cars, but not specific cars, which may lower every positive metric relating to ad relevance. Bidding occurs at the ad group level. Be sure to adjust your bids down on the content network – 50% is a rough guide – as content clicks tend to be worth less than search clicks, especially in the experimental phase. in the buy cycle a visitor might be, based on the type of content a page displays, and the closer that person is to buying, the higher the price charged. However, the conversion rate is likely to be higher from such a page, than from a vaguely related page not related to strong buyer intent. Think carefully about the context of your ads. Ads aren’t appearing as a result of a specific keyword search. Someone will be reading a page, perhaps on a site they are very familiar with, and they probably aren’t in hunting mode. It’s more a form of discovery, of stumbling across something. Experiment with your ad text, as what works on the search network may not translate to the content network. Bear this in mind when creating your ads. Google offers placement reports. These can be found under Report Type section, select Placement Performance. These reports show you where your ad is shown, number of impressions, and other data you’d normally expect to see in you Adwords reports. You can determine which sites offer you the best bang for you buck, and which sites are not converting. You can block the low converting sites with the Site Exclusion tool. Even if a site which is getting you a lot of ad impressions is not yielding many clicks it can still pull down the overall quality of your campaign. Each layer of inefficiency that you block makes your remaining account that much more potent because your clickthrough rate and ad quality are improved. A final note about branding. You tend to get a lot of impressions on the content network, which can help drive brand awareness. If branding is important to you, then consider placing image ads, or writing your text ads with this aim in mind. You may rack up a lot of exposure and awareness before having to pay much in the form of click-thrus! In many cases image ads will require higher bidding since you are blocking out competing ads. No matter what ad strategy you use it helps to test multiple variations. Right now JillianMichaels.com is using at least 3 different ad formats to help keep them fresh. Image ads may need to be refreshed every few weeks to every few months to prevent a nosedive in CTR. What was once a successful strategy become less effective as people see the same ad over and over again, and as other advertisers copy a particular strategy it may become less appealing (this is especially true in the fast moving affiliate market). 1. Limit your keywords to 50 or fewer per ad group since Google only looks at the first 50 if you have more. 2. Very focused ad groups (those with just 1 keyword) are worth testing. 3. 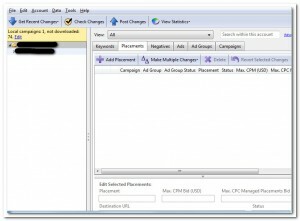 Enhanced online campaigns (mixing keywords and site-targeted placements in the same adgroup) are worth testing as well. Giovanna, great article, thank you. I had a well branded image provided to me by the company I am an affiliate of – Kaspersky. I used it in an image ad and it was disapproved. Reason – Trademark Terms. As an an official affiliate I am authorized to use the image and to advertise for the company. I am still trying to understand what was my mistake. Giovanna, great article, thank you. I had a well branded image provided to me by the company I am an affiliate of – Kaspersky. I used it in an image ad and it was disapproved. Reason – Trademark Terms. As an an official affiliate I am authorized to use the image and to advertise for the company. I am still trying to understand what was my mistake. When I edit ads, ad groups and campaigns my Adwords Editor becomes colorful .. after updating it, which looks irritating, how can I get it back as fresh look? Excellent article! I’ve recently shifted my consultancy to PPC and paid advertising — the Google Content Network strategies you described in detail here are extremely relevant and useful to me and my clients. Thanks! So how many impressions and clicks can I get away with in the content network before it’s significant enough that I can drop or keep an ad I am testing?